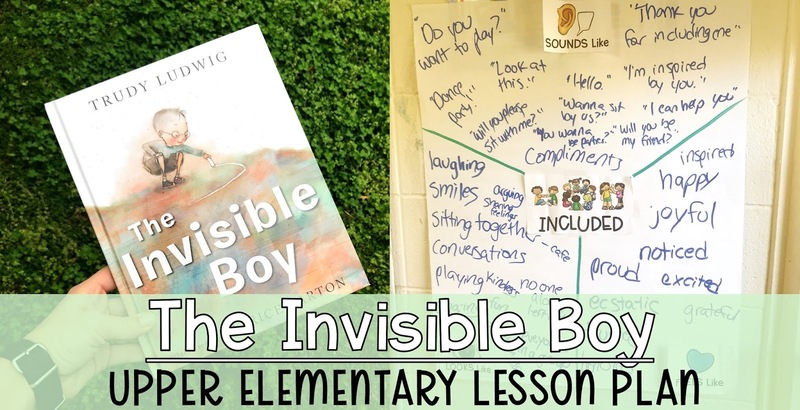 Last year, I used the gem that is The Invisible Boy with my second grade classes. 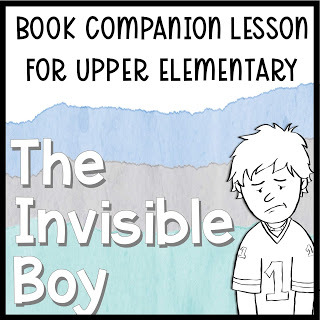 This past year, I included it as part of my 4th grade unit with Trudy Ludwig books. With their more advanced brains (and trickier social networks! ), I went with a new plan of attack. 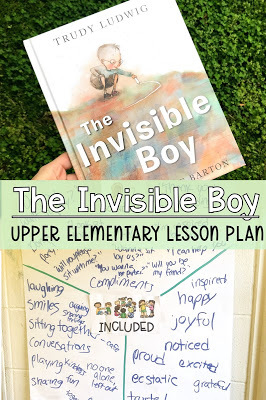 This time around, after reading the story, we dug a little deeper into the concepts of included and excluded. 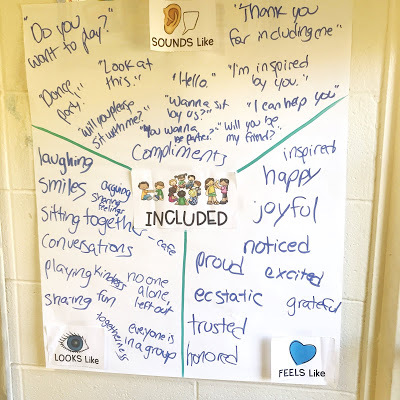 The students and I co-created anchor charts representing these ideas and what they look like (what would we see if people were being included), what they sound like (what would we hear people saying if kids were being included), and what it feels like (what type of feelings words would describe being included). 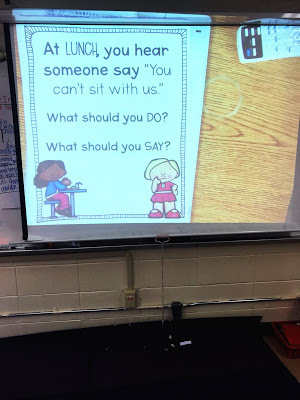 For each, students did a quick ‘turn and talk’ with a partner before sharing out as I wrote on our sticky chart paper. What I found after doing this in two classes was that my students already have a veeeerrrryyy good idea of what exclusion is all about it – it’s the inclusion piece we need to understand better – so in the remaining classes we only did the anchor chart for included. 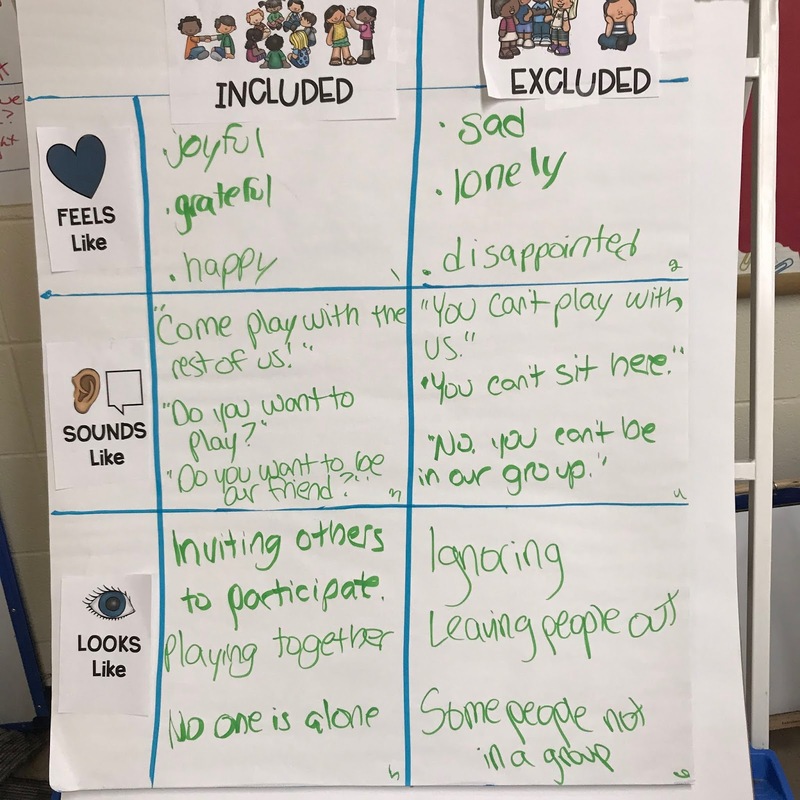 After we all get on the same page about what it means for students to be included, it was time for them to practice making sure everyone was included. 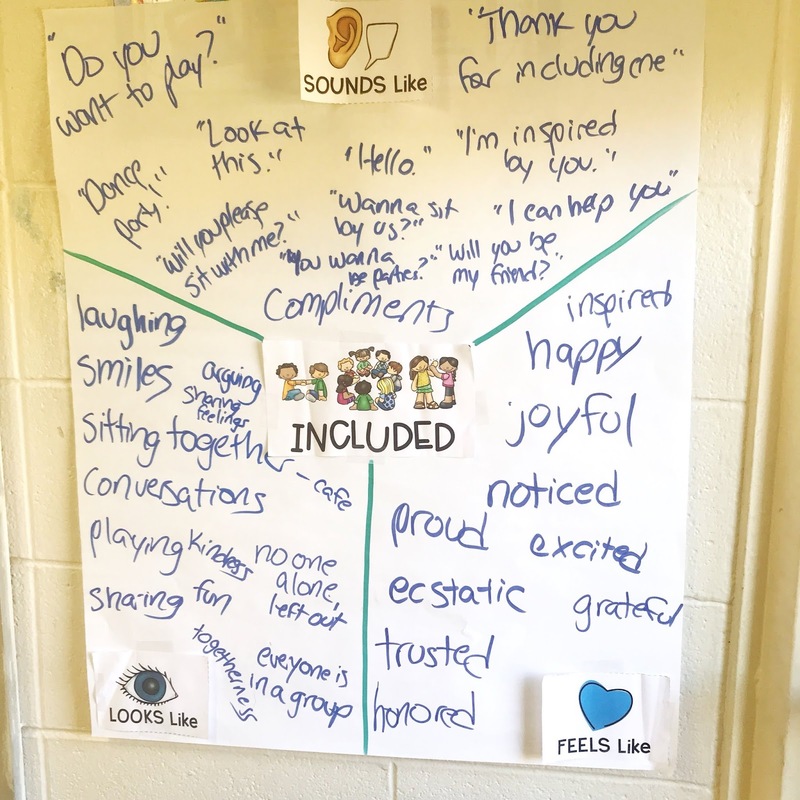 I adapted an activity that’s part of Responsive Classroom morning meetings called ‘maitre’D’ – that I called “Table Of…” to keep things clear for my students. 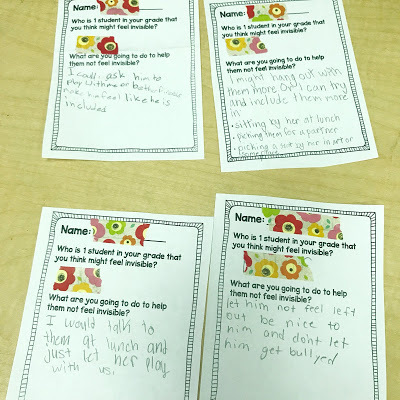 It required a minute of pre-teaching since many of my students have never been to a restaurant and didn’t know about putting your name down on a list and waiting for the host/hostess to call for your family. Here’s the gist: students mix and mingle and wait for me to say “Ms. Owens’ class, part of 3 to 4” (using their teacher’s name, and mixing it up, doing 2-3, 3-4, and 4-5). Students have to get themselves into small groups of the size I gave, and to make sure EVERYONE is included. Sometimes this meant a group that formed had to break up and make new groups so that no one was left out. Once students were all assembled in their groups, I asked a discussion question. At this point, students were standing all over the room and facing various directions. Auditory processing was not going to be phenomenal so I decided to use some visuals (just projected on the document camera) to help out. We repeated this for 4-6 questions depending on time. 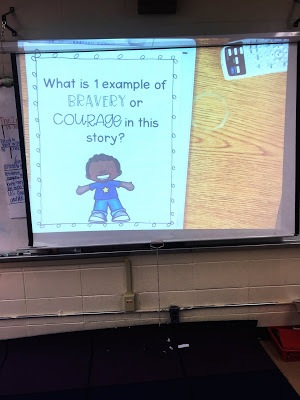 And then to close the lesson we did an exit ticket – a little different than usual. I asked all of the students to identify 1 kid in their grade that they believed might be feeling a little invisible and to write 1 thing they would do to help that person feel less invisible. Note: I had a few students ask me if they could write themselves. I gave them the go ahead but asked them to identify what they could do to help themselves be less invisible. 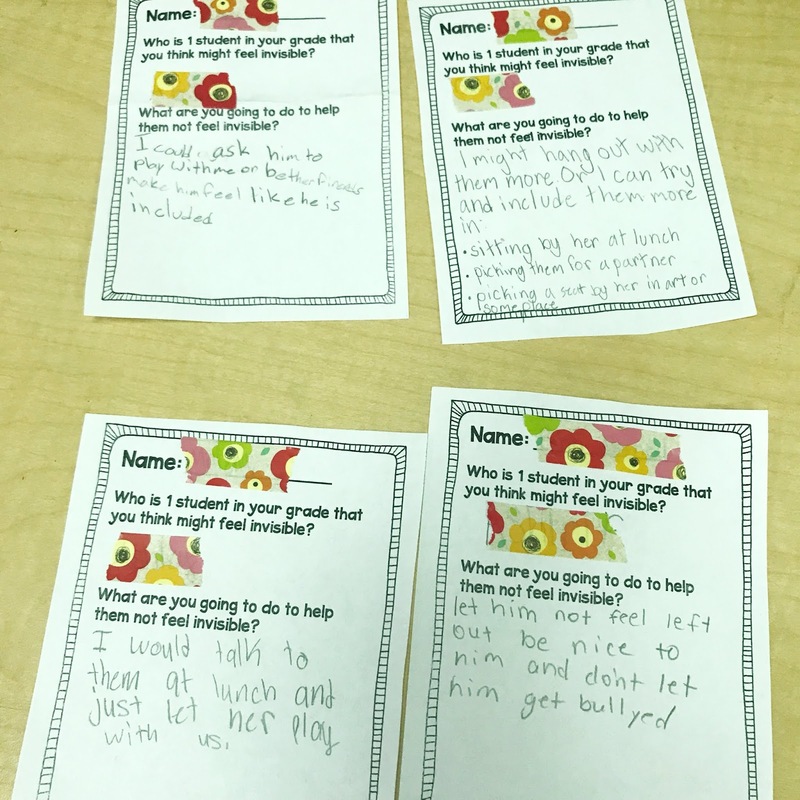 To be honest, this cohort of students are pretty naturally inclusive, and there are a large number of them whose kindness steers them towards being intentional about including others as well. 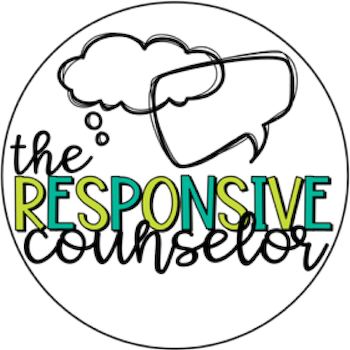 That means this lesson was much more developmental and preventative than most of my lessons, which tend to address an existing issue. 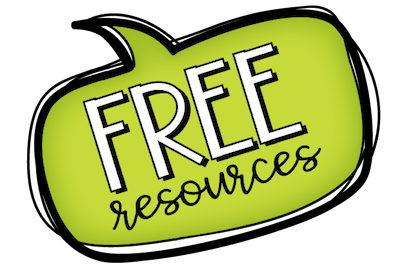 This lesson went really well, but I’m excited to do it again with a group that might be needing this in a different way.